Combine flour, baking soda, baking powder and salt in a bowl. Use a mixer to blend together the eggs, sugar, butter, vanilla, lemon extract and lemon juice in a medium bowl. Pour wet ingredient into the dry ingredients and blend until smooth. Add oil and mix well. Pour batter into a well greased 9x5-inch loaf pan. Bake at 350 degrees for 45 minutes or until a toothpick stuck into center of the cake comes out clean. 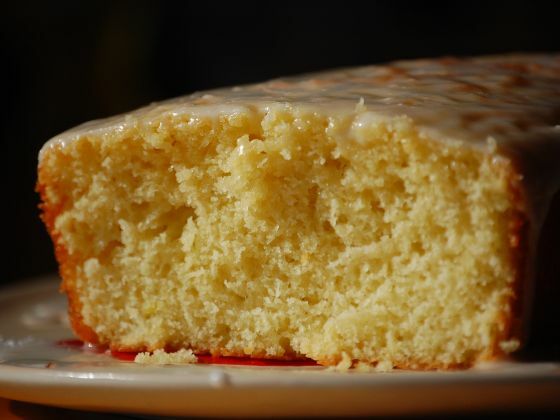 Make the lemon icing by combining all the icing ingredients in a small bowl with an electric mixer on low speed. 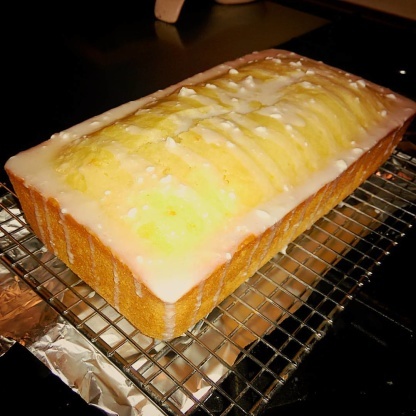 When the loaf is cool, remove it from pan and frost the top with the icing. Let the icing set up before slicing.